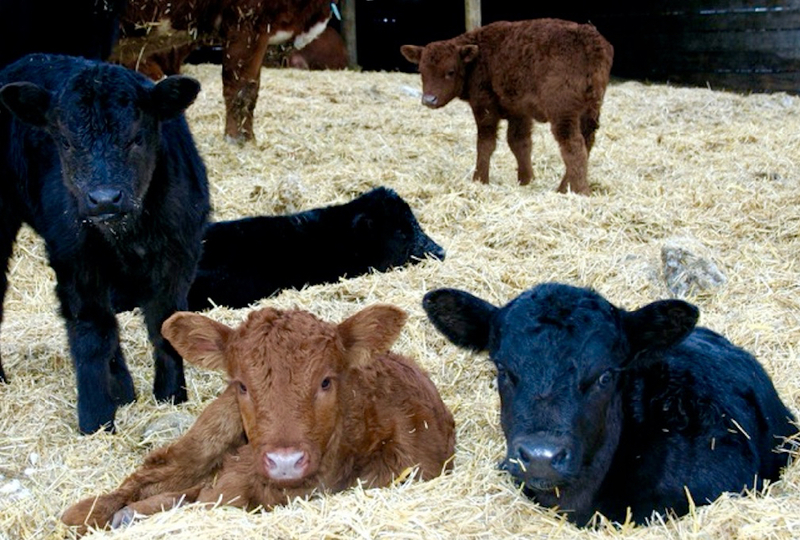 NSAIDs reduce pain and may improve health outcomes in situations ranging from hard calvings to lameness. Pain medication may come with adjunct treatment such as antibiotics but sometimes this is unnecessary. When veterinarians prescribe non-steroidal anti-inflammatory drugs (NSAIDs) for pain, they may choose based on label claim, past experience in the field, price per treatment or per 100 lbs., duration of activity, ease of administration, advice of associates or slaughter withdrawal. 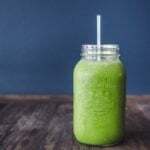 There are several things to consider but hopefully after reading this article and discussing it with your veterinarian, the decision will be that much easier in the future. For years the clinic I was associated with would give calves an NSAID called flunixin intravenously after hard calvings. The thinking was that it would reduce swelling and soreness on the legs and potentially the ribs. I believe it did reduce swelling. We also put calves on IV fluids and NSAIDs for scours and it’s now proven that appetite is increased. Only recently have we looked at the cow. 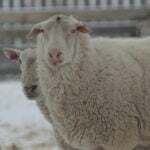 Administering NSAIDs should lead to less obturator paralysis and quicker recovery from vaginal contusions after calving. Appetite is not lost so milk production is maintained. If one follows the Beef Code of Practice, one should use NSAIDs for major surgical procedures such as C-sections at the time of delivery or at the beginning of surgery. I know from experience the recovery after C-sections is much more rapid and the cow doesn’t spend the first day moping around. 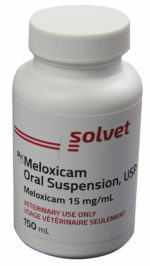 I have used injectable products, oral meloxicam and now the Banamine TD, all with great success. The latter two have a greater ease of administration which makes them both desirable for calving cows. You are unlikely to see many trials on weight gains or the economics of painkillers. In the short term companies want to prove the painkiller cuts a decent percentage of the pain in different scenarios. Common sense tells us that the cattle will do better initially. Health outcomes are likely improved. There usually will be compensatory gain once the animal recovers so if we follow these cattle to slaughter, there will be little difference. The bottom line is that all these painkillers have been proven to take away various types of pain and it simply is right thing to do, in my opinion. Talk to your veterinarian. 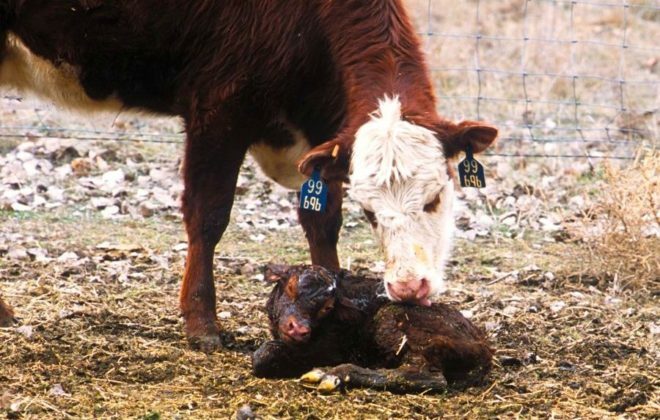 With calving, one needs to have parameters based off a hard, medium or light pull. Light is being able to pull by hand with no other assistance. A medium or hard pull is when a calf puller is applied. One also knows pulling with the cow’s contractions, being slow and methodical and applying lots of lubricant can avert a tough calving. You must recognize your own skill level and treat accordingly. Was there a tear created, did you pull too fast, was the calf slow to get breathing, did you hear any unusual pops or snaps indicating tension? All these are clues the pull may have been too hard. 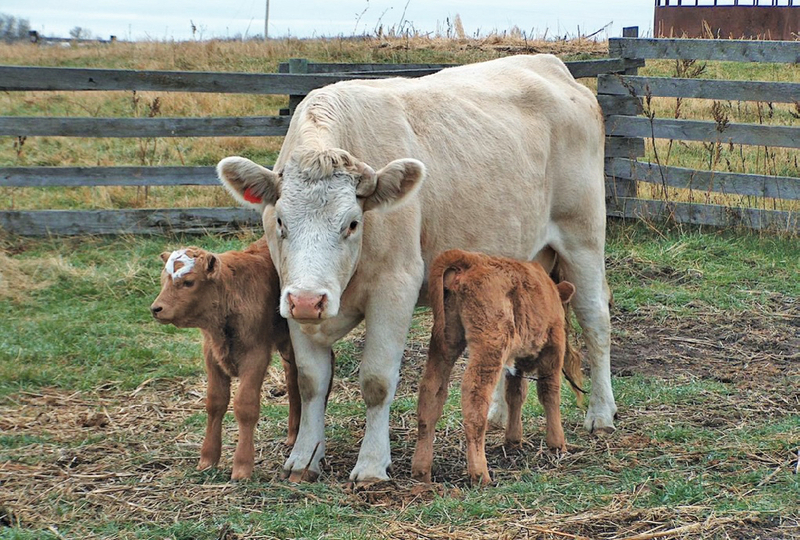 There are several ways NSAIDs may help a cow after a pull, including better milking, increasing appetite quickly, mothering up, and potentially being quicker to rebreed. Many producers now have painkillers prescribed for the season and have them close to the chute so they can easily be given. I think most veterinarians would agree with me and probably prescribe something like dexamethasone for a cow that is down after a difficult calving. This steroid is very potent and so takes effect quickly. It’s effective if given early in cows with obturator paralysis. The drawback is its immunosuppressive effects so often antibiotics may be prescribed concurrently. 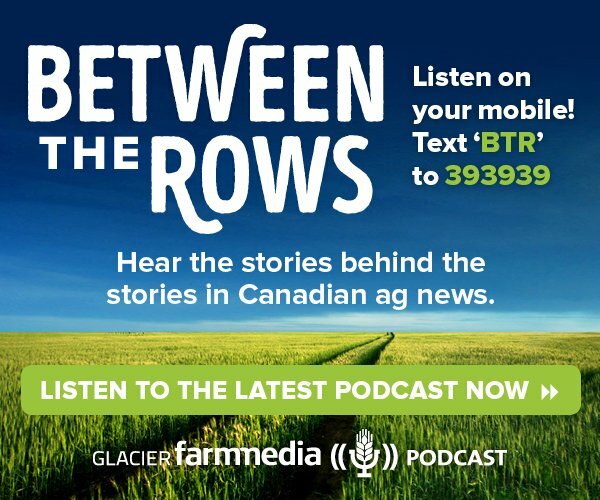 The other bucket of pain we deal with is lameness in all areas of cattle production. 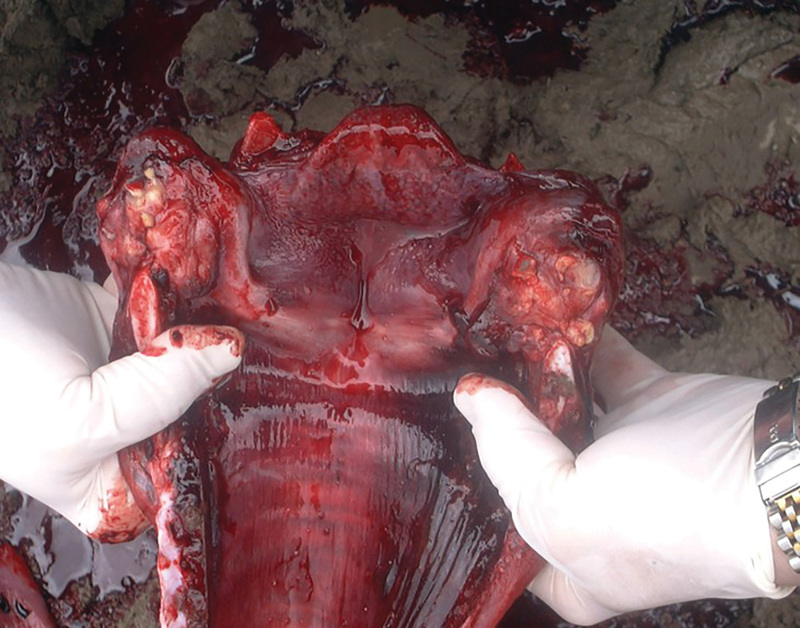 Lameness is prevalent in the feedlot. 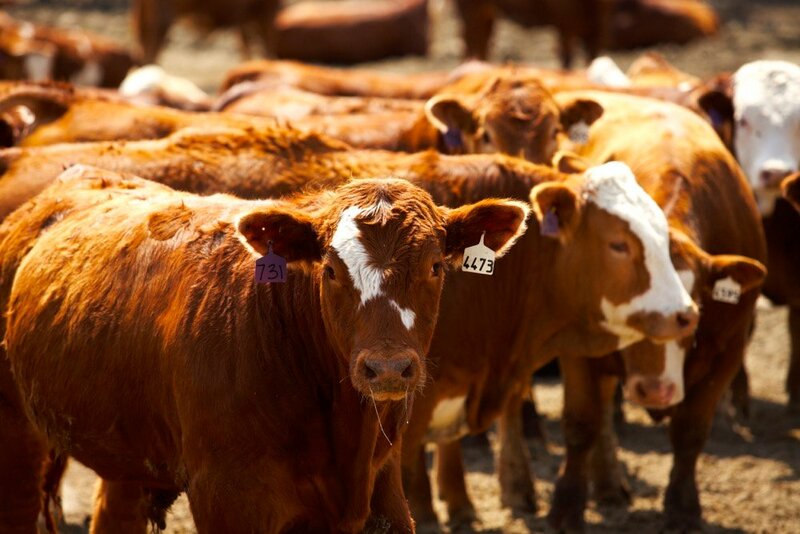 It is the second-most-frequently treated clinical symptom in feedlots, right behind pneumonia. The newest NSAID on the market, Banamine TD (pour-on), even lists lameness caused by footrot on the label. 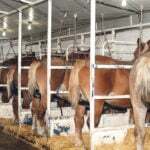 By using pressure-bearing plates, you can prove the product took a good percentage of the pain away, as the lameness greatly subsides after treatment. 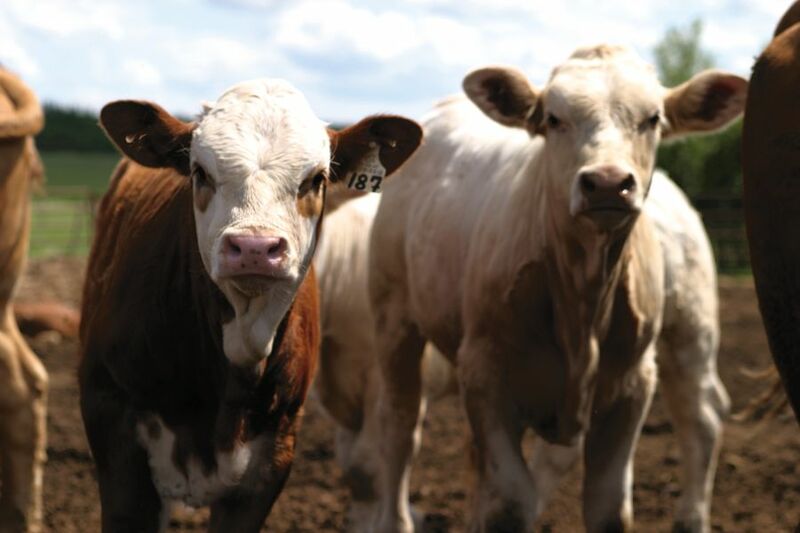 Getting the diagnosis right is the most important thing when dealing with lameness at the feedlot or in other areas of cattle production. This may involve lifting up the foot and having a look. Usually we can avoid using antimicrobials but in almost all cases NSAIDs will be used. Both the Beef Code of Practice and public perception justify doing this. There may be times when an animal with a sprain strain is left to convalesce on its own but that would be rare. The NSAIDs pretty much all have slaughter withdrawals so in heavy feedlot cattle that may be a consideration. Feedlot cattle sprain strains, footrot, interdigital dermatitis, sole ulcers or toe tip necrosis, arthritis, septic arthritis and broken legs indicate the wide range of lameness producers see. Broken legs usually indicate emergency slaughter, yet all the rest may require NSAIDs. The footrot would require antimicrobials but many of the other conditions would not require systemic antimicrobials. A large number of bigger feedlots still use a lot of dexamethasone because they have low withdrawal for slaughter and are cheap and potent as an anti-inflammatory. But no work has been done on the painkiller aspect. There is also the question that steroids have an immunosuppressive effect so in many ways the NSAIDs may be the safer proven alternative. 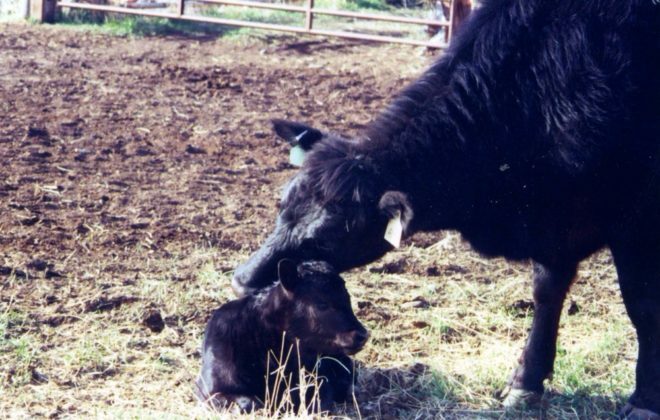 There are additional uses for steroids at the feedlot such as certain pneumonias that cause abortion in heifers. 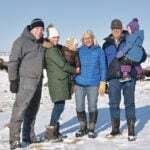 Today most veterinarians will have a solid opinion on which side they stand with steroidal use in our feedlots to manage lameness. Most of the NSAIDs last a couple of days or so, which means that retreatment would be considered only in cases of advanced lameness. 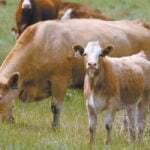 The Beef Code of Practice outlines the use of treatment, convalescence or shipping for salvage regarding lameness. Sometimes cases need to be reassessed, especially with joint infection. If the lameness isn’t improving or the animal isn’t gaining weight, it may need to be either slaughtered on site or put down. Many other conditions in the feedlot may use NSAIDs as primary or ancillary treatment depending on the feedlot veterinarian’s protocol. 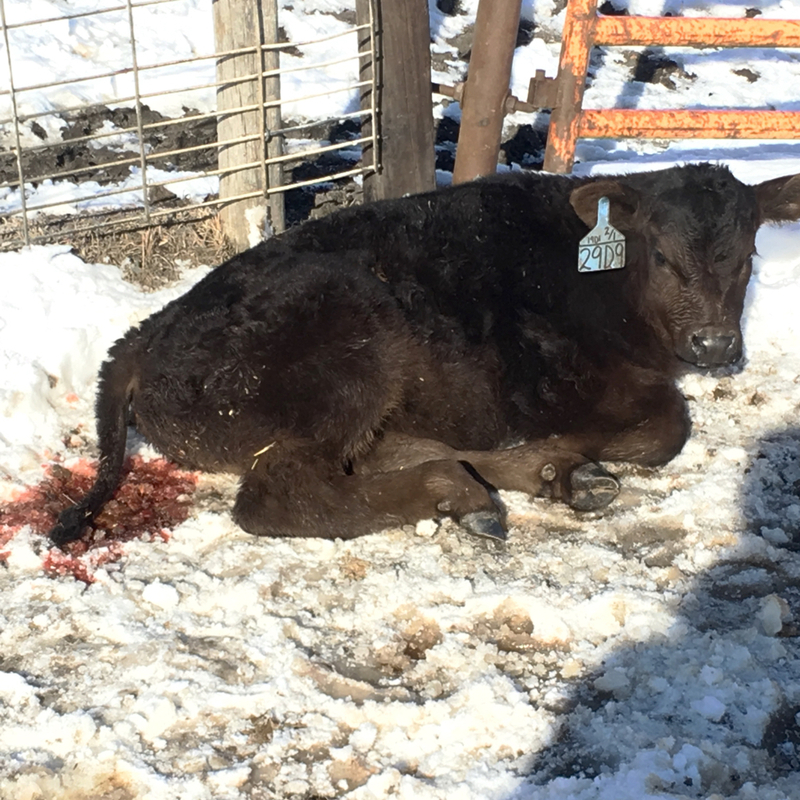 Buller cattle, calving difficulties, severe rectal prolapses as well as surgeries such as perineal urethrostomies and exploratory surgery also may require NSAIDs. 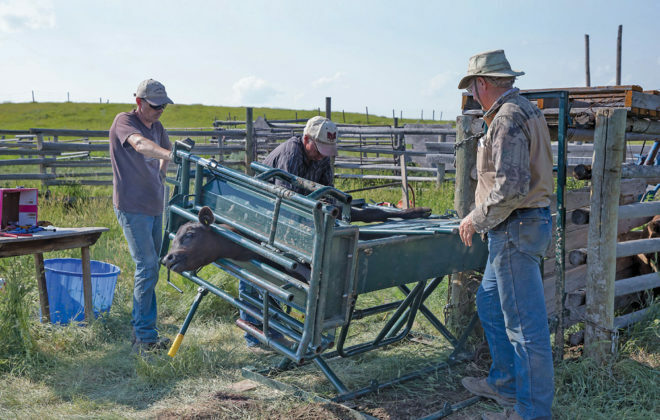 The common procedures such as dehorning and castrations have been talked about in other articles and there is no question cattle recover quicker and have better health outcomes when they receive NSAIDs. That goes for branding, too. Any increase in weight gain will be negated as compensatory gain later in the feeding period, but pain control is simply the right thing to do in some situations. Your veterinarian can help decide when it is necessary and what products to use. 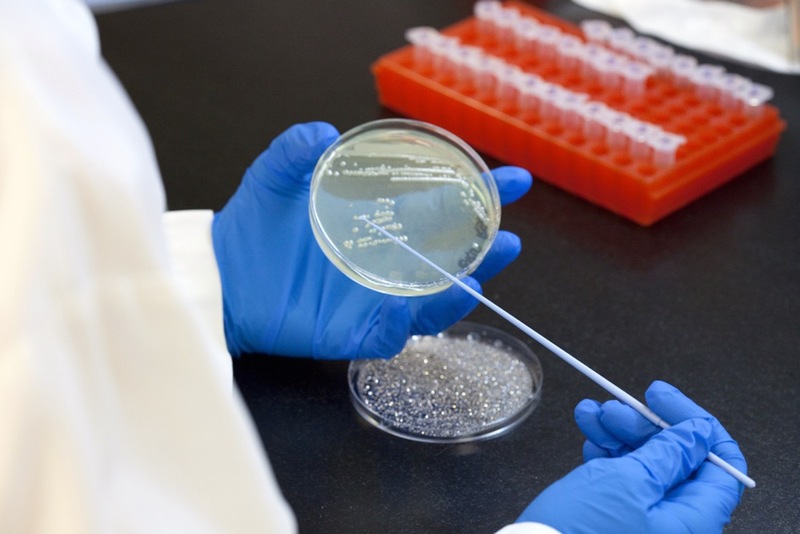 They will in some cases help cut down the need for antimicrobials.